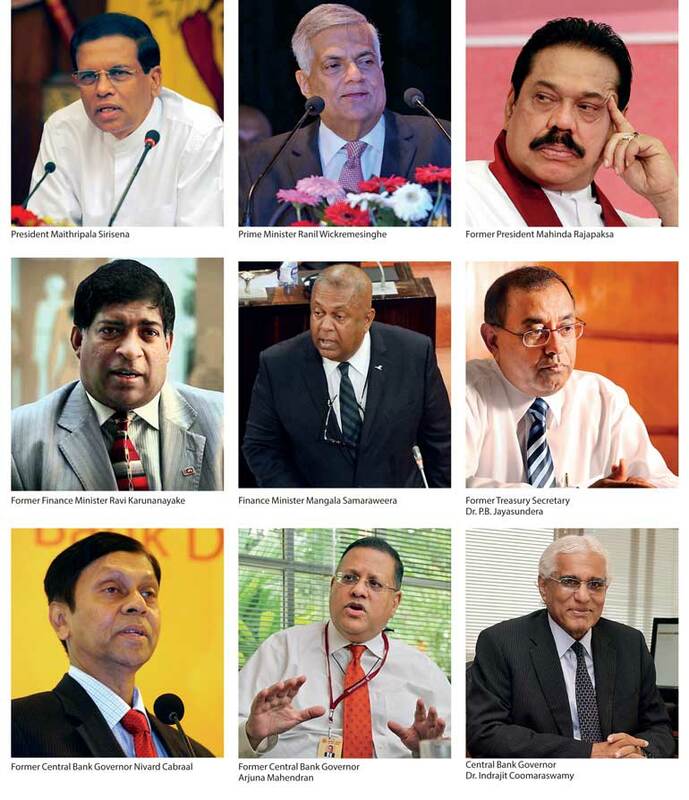 The Central Bank Governor Indrajit Coomaraswamy, while announcing the Bank’s monetary policy stance for the next two months, is reported to have emphasised on the need for a quick resolution of the ongoing political stalemate in the country (available at: http://www.ft.lk/top-story/CB-chief-calls-for-political-stability/26-649568 ). Coomaraswamy, according to reports, has rung “an alarm bell over Sri Lanka’s political leaders calling for a quick end to the political standoff triggered by the Local Government poll results before it affected growth, warning there was no scope for loosening fiscal policy”. It is reported that Coomaraswamy who has to play an apolitical role as the Governor of the Central Bank had been disturbed by the prevailing political situation mainly because of its adverse impact on the market sentiments and investor aspirations. Both, if prolonged, would push economic growth further down. He is reported to have clarified this point as follows: “For the country to have better outcome, Sri Lanka needs political stability as quickly as possible. We have not really considered the political situation when making this decision on policy rates. How politics could affect is on sentiments which lead to a reduction in investment and growth. Clearly, one would need to loosen policy then to support growth, but you also have to look at what happens to fiscal policy. If the political situation leads to a loosening of fiscal policy, the Central Bank has to lean against that and tighten monetary policy”. Coomaraswamy’s warning signals may not be to the liking of those who have appointed him to that high post. Yet, he and the Monetary Board that functions above him have to work for the best interests of the economy and through that move, for the best interests of the people. If the action of the political masters is inimical to this goal, the Central Bank has a responsibility to point it out to them. That is the professional role to be played by an apolitical central bank. The Prime Minister Ranil Wickremesinghe who has been a party to this political standoff had admitted that the current economic growth has been less than what it should have been at a meeting with the media heads of the country (available at: https://www.youtube.com/watch?v=UUO6t4k_xzU ). While claiming that he is still the Prime Minister in terms of the Constitution, he has totally disregarded the possible impact of his choice to remain as PM supported by Constitutional provisions now. Sri Lanka’s economy had been in a crisis on all fronts. It started from around 2013 when the growth numbers started to decelerate from the post-war high economic performance during the two preceding years. This writer warned of this in a series of articles published under this series. In an article published just before the onset of the year 2017, under the title ‘Economy 2017: The alarming signs should not be ignored’ (available at: http://www.ft.lk/columns/economy-2017-the-alarming-signs-should-not-be-ignored/4-587456 ), this writer warned that the grand plans made to celebrate the second anniversary of the Unity Government had totally ignored the economic crisis which the country had been going through. The following were the highlights made in the article under reference. The symptoms of the onset of the crisis in 2013 were visible from many fronts though they were conveniently ignored by the policy makers at that time. There was a worsening external sector, unusual growth in money and credit, suppressed inflation, slow-down of economic growth and an undisciplined budget causing the accumulation of public debt. Independent analysts, including this writer, drew the attention of the policy makers at that time to the need for taking urgent corrective action to arrest the oncoming catastrophe. But, instead of responding positively, an attempt was made by authorities to depict a rosy picture by massaging the main economic numbers. The external sector crisis began to manifest itself when exports started to fall both as a share of the Gross Domestic Product or GDP and the world exports from around 2005 in a background of rising imports. The government tried to get a temporary relief by using remittances of Sri Lankans working abroad to part finance the consequential expansion of the trade deficit. The unmet part was financed by borrowing from external commercial sources at high interest rates. Those borrowed funds were then used to prevent the exchange rate from falling in the market. The attention of the policy makers to this insane strategy was drawn by this writer in an article published in this series in November 2011 under the title ‘External Value of the Rupee: Market driven or Central Bank driven?’ (Available at: http://www.ft.lk/article/58156/External-value-of-the-rupee--Market-driven-or-Central-Bank-driven- ). Yet, the policy makers continued to follow the same policy by making ever increasing commercial borrowings from abroad. Then, the foreign borrowing numbers were cooked and published in a special debt report by the Central Bank to show a rosy picture. This stand of the Central Bank was challenged in another article in the series published in May 2014 under the title ‘Sri Lanka’s external debt sustainability: Complacency based on incomplete analysis may be the worst enemy’ (available at: http://www.ft.lk/article/297680/Sri-Lanka-s-external-debt-sustainability--Complacency-based-on-incomplete-analysis-may-be-the-worst-enemy ). The Central Bank vehemently reacted even going to the extent of personally attacking this writer. But the problem did not go away and its results are now being faced by the present government. Economic data too were manipulated by the government that was in power starting from growth numbers and then poverty and unemployment numbers. Growth was shown as a super achievement but the actual growth was pretty much lower than what was publicized. Attempts were made by the government to drive growth arbitrarily above what the economy could have achieved based on its capacity for growing, known as the country’s potential growth. The result was to overheat the economy leading to both inflation and depreciation of the currency. This was brought to the notice of the Central Bank in an article published in this series in March 2014 (available at: http://www.ft.lk/article/268250/Potential-output-of-Sri-Lanka--It-is-dangerous-to-speed-the-car-beyond-installed-engine-capacity ). The Central Bank once again rebuffed it as irrelevant but the subsequent events proved that the country was heading for disaster on both the inflation and exchange rate fronts. The inflated growth numbers were visible when they were significantly higher than the household income numbers gathered through field surveys even after making an allowance for the incomes of companies which are not included in household incomes but in the GDP numbers. This anomaly in growth numbers was again highlighted in an article published in February, 2014 (available at: http://www.ft.lk/article/258408/Average-income-of-a-Sri-Lankan--When-numbers-gathered-from-top-and-bottom-do-not-tally- ). But the Central Bank instead of advising the government on the adoption of relevant corrective policies took issue with this writer. Then, it was revealed that the growth numbers had been massaged by the top economic policy makers to suit their petty objectives. This was the subject matter of an article published in the series in December 2013 (available at: http://www.ft.lk/article/233962/Alleged-massaging-of-growth-numbers--Should-a-credibility-restoration-exercise-be-launched-for-Sri-Lanka-s-statistics-agency- ). The poverty of the poverty numbers was also brought to the notice of the authorities in an article published in May 2014 (available at: http://www.ft.lk/article/292226/Sri-Lanka-s-growth-paradox--When-poverty-yields--income-gap-holds-stubbornly ). Thus, when the new government came to power in January 2015, it was a sick economy which it had inherited from the previous administration. The top priority of the new government was, therefore, to take a quick stock of the economy, make a diagnostic and a prescriptive study and introduce urgent corrective measures. Since the economic volcano was showing all the signs of eruption without warning, there was no time to be wasted. The Central Bank, as advisor to the government, was to apprise the new government of the real economic situation and the need for urgent corrective measures. But the Annual Report of the Monetary Board for 2014, prepared after the new government came to power and released in April 2015, was silent on any economic crisis being faced by the country. It had reconfirmed the doubtful economic data issued by the previous administration thereby making it totally blame-free. Even the Annual Report of the Ministry of Finance, released in June 2015, had taken the same stand: The country does not suffer from any economic ailment that needs quick fixing. Consequently, it is the present government which is now being blamed for the ills in the economy. Today, the situation has been worse. The country continued to record a low economic growth of around 4.5% in 2015 and 2016. The growth attained in 2017 has been even less than 4%. During 2018 to 2020, the best scenario for growth has been at around 5 to 5.5%. This is far short of the required economic growth for the country to increase its average income from around US $ 4000 today to US $ 5000 by 2020 in terms of the government’s economic strategy titled Vision 2025. If this target is missed, the targets set for 2025 in the same strategy document have to be given up completely. Coomaraswamy has been perturbed by a worsened fiscal situation that would derail his monetary policy programme for 2018 and beyond as pronounced in the Road Map of the Central Bank released at the beginning of the year. The government claimed, quite correctly, that it inherited a debt-ridden economy at the time it came to power in January 2015. The Finance Minister Mangala Samaraweera, while delivering the Budget for 2018 in Parliament equated the debt problem far worse than the problem created by the Garbage Hill of Meetotamulla. Yet the track record of the present government has been not to reduce the debt level. Like all the previous governments, it had to borrow more to pay interest and repay the principal of the maturing public debt adding more to the total debt stock. The government to its credit had made some gains in improving its revenue position during 2016. But, since it had allowed the government expenditure to boom, it had to borrow more to finance its lavish expenditure programmes. Accordingly, the total debt stock which amounted to Rs 7.4 trillion at the time the new government came to power had now boomed to Rs 10.3 trillion by September 2017. The years 2018 to 2020 will be severely crucial for Sri Lanka since the total public debt repayments and payment of interest would exceed the targeted revenue of the government by a significant margin. At the same time, the external sector crisis is looming over Sri Lanka badly. Though there has been some recovery of exports during 2017, it is still far behind the expected growth path putting pressure for Sri Lanka rupee to depreciate in the market. Hence, the recovery of the economy in the next three years appears to be highly challenging. On the top of this worsened economic situation, the country has now been hit by a disastrous political battle for power. Politicians of all sides who are embroiled in the battle are demonstrating that they are ordinary beings wired to seek only the self-survival. But when they fight with each other, they bring miseries to others. Economists call it imposing an external cost on society. To eliminate externality, Nobel laureate Ronald Coase suggested in 1960 that the parties should go to negotiation table and reach an agreement. The religious leaders also give the same counsel but require the warring parties to act responsibly and on a moral and ethical code. The current plan being pursued by warring parties has been to eliminate the other and emerge victorious. Each party has even suggested forming a government of its own by attracting defections from the other. Whether that government is a UNP government or a UPFA government, it runs the risk of not being able to introduce a consistent economic policy programme supported by much needed economy-wide economic reforms. It also creates uncertainty and markets do not like uncertainties. Markets react to uncertainties by reducing investments, on the one hand, and causing funds to flow out of the country, on the other. It will further worsen the growth prospects for the future. The outcome of the funds flowing out of the country has already begun to reflect on a depreciated exchange rate. The politicians may continue to play the political game of seizing and clinging onto power. But the victim of their game would be the economy and the people at large.